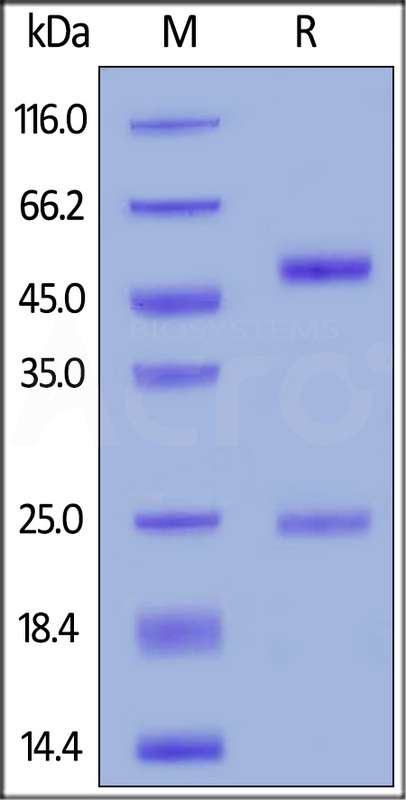 Mouse monoclonal antibody is produced from a hybridoma resulting from fusion of SP2/0 myeloma and B-lymphocytes obtained from a mouse immunized with Rituximab F(ab')2. 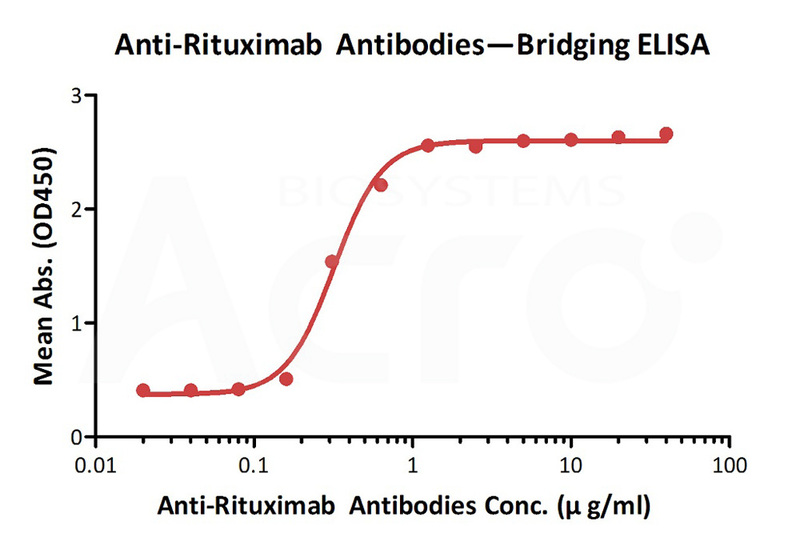 Recognizes Rituximab specifically, no cross reactivity with other humanized antibodies. Anti-Rituximab Antibodies on SDS-PAGE under reducing (R) condition. The gel was stained overnight with Coomassie Blue. The purity of the protein is greater than 95%. 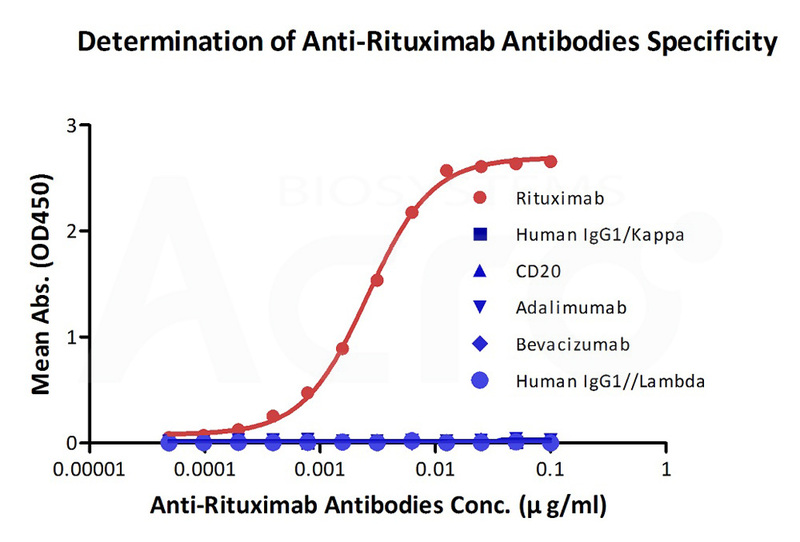 Demonstration of the specificity of Anti-Rituximab Antibodies (Cat. No. RIB-Y35) to the rituximab. 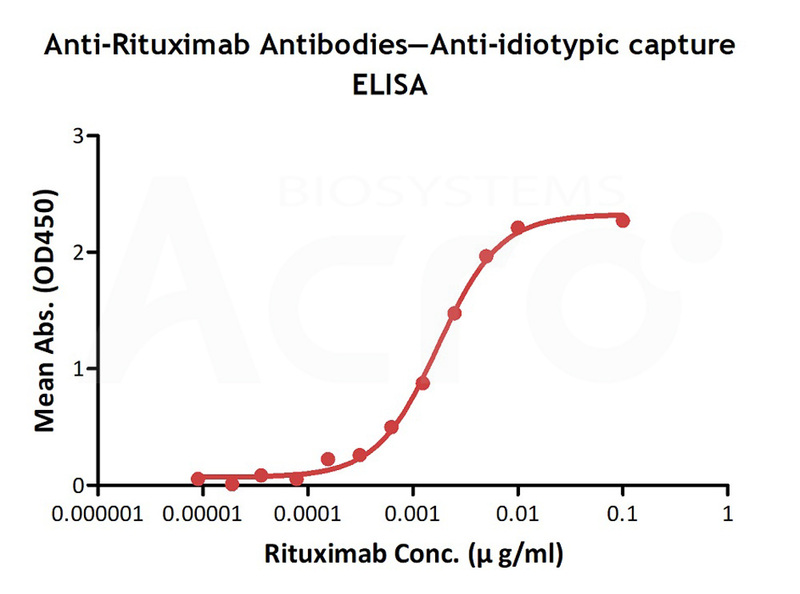 Detection of rituximab by anti-idiotypic capture ELISA in serum. Immobilized Anti-Rituximab Antibodies (Cat. No. RIB-Y35) at 0.5 μg/mL (100 μL/well), add increasing concentrations of rituximab (0.1% human serum). 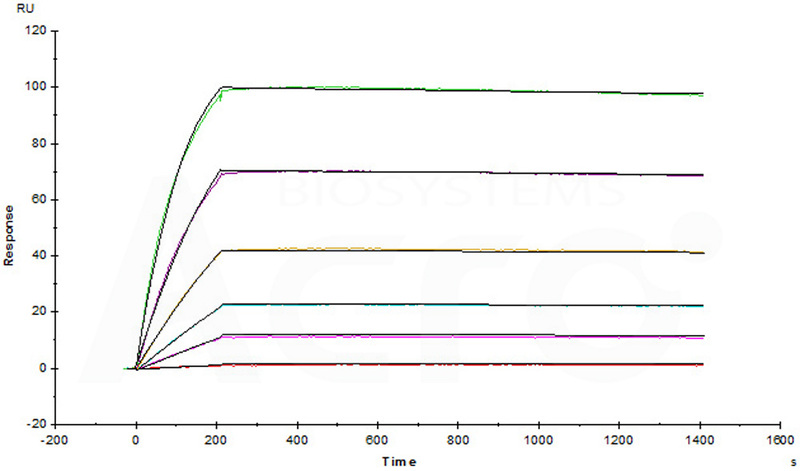 Detection was performed using goat anti-human IgG with a sensitivity of 0.156 μg/mL. Anti-Rituximab Antibodies (mouse IgG1, Cat. No. RIB-Y35) captured on CM5 chip via anti-mouse antibodies surface, can bind Human rituximab with an affinity constant of 0.03 nM. 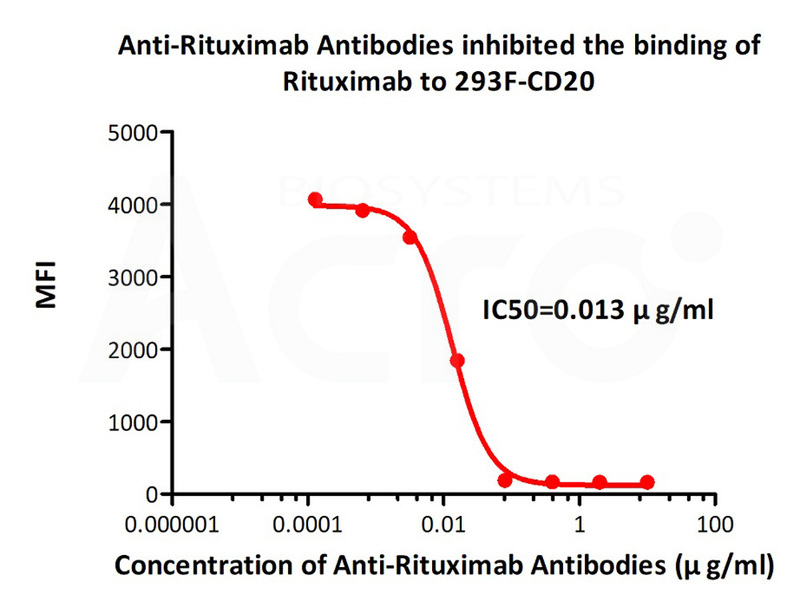 FACS analysis shows that the binding of rituximab to 293F overexpressing CD20 was inhibited by increasing concentration of Anti-Rituximab Antibodies (Cat. No. RIB-Y35). The concentration of rituximab used is 10 ng/ml. The IC50 is 0.013 μg/ml (Routinely tested).